Many RV owners get depressed when they finally have to shut down their RVs for the season and winterize them in preparation for colder weather. But proper winterization is a must if you want your rig to function in the spring when it’s time for the fun to begin again. Opening up your RV in March or April and discovering damage caused by frozen water is a real downer and can end up causing you hundreds, if not thousands, of dollars. So here is a quick and handy guide to help you prepare your RV for winter. Put some music on in the background and soak up all of the memories from the past camping season while you work—this will ease the pain and help you come to grips with the cold months ahead. If you are hooked up to water at home or at a campground, now is the time to unplug and also take a second to make sure your water heater is turned off. 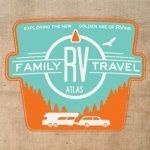 Now you need to drain all of your RV’s low-point drains, which should be easily visible (and hopefully easily reachable) underneath your rig. There should be stickers that say “low-point drain” right above them. Consult your owner’s manual if you need help finding them. Now drain your hot water heater. It’s in a different place in every rig, so poke around under your couches, or consult your owner’s manual to find its exact location. Head back outside and blow out your water lines using an air compressor and blow-out plug, which allows you to connect the compressor directly into your water intake. Head back inside and make sure to bypass your water heater so that you don’t dump gallons of unneeded antifreeze into it. If your RV isn’t equipped with a bypass kit, you’ll need to purchase one. These are very affordable and available online or at your local camping/hardware store. Add antifreeze from the outside water intake using a hand pump. You’ll need to go inside and check each faucet separately to make sure it’s filling the system. Start high and work low. Check the kitchen sink, then the bathroom sink, then the shower and toilet. If you have extra accessories that use water, now is the time to make sure the water is emptied from them, too. Think outside shower, ice maker, washing machine, macerating system, etc. Now pour antifreeze into your sink and shower drains. These are the basic steps to winterize your rig that MUST happen to keep water from seriously damaging your rig. But if you want to keep the RV in tip-top condition, there are several other important safeguards to take before saying goodbye for the winter. Vacuum the interior and any exterior storage bins like crazy. Leftover food can attract animals in the winter—and animals can do severe damage to your RV in the winter months. Check all of your seals outside and do any caulking now, before water damage can occur. Use wheel chocks and make sure your rig is stabilized—just like if you were camping in it. Keep your RV out of direct sunlight and consider buying a cover for the winter. If you cover it, occasionally shake the cover out during the winter months so water does not gather in small pockets inside. Clean the awning using a cleaner specifically designed for its fabric. Finally, thank your RV for all of the good memories it has given you! If you take good care of your RV it will take care of you. You should also remember that you can still take your RV camping—just without using its water or sewer systems.